Let it be known that a perfect 10 can be achieved with the simplest of meals. Now, we’ve done this one before and have blogged it as well but you know, when something turns out this good, you just have to post another blog entry to rub it in. Tonight, a slightly late Valentine’s meal (sorry Alex, you missed it!) Grilled lobster with COTC and feta salad. YUUUUM. The prep and the grilling time is so quick that you’ll be amazed at how easy this recipe is and hopefully, you’ll never pay premium bucks to have a lobster in a restaurant again! 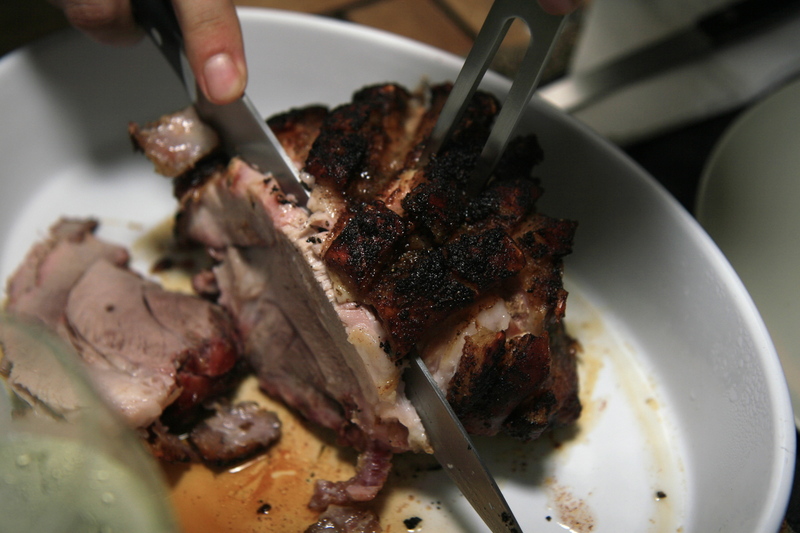 You can make this better than any restaurant if you’re using a hardwood charcoal grill, or even better, a Big Green Egg! Preparation includes the nasty business of whacking your lobster. Simply put, a sharp chef’s knife to the head pretty much does the trick. Don’t be fooled though, the little guys will twitch and squirm for a while and so if you’re a bit squeamish, get someone else to do your dirty work. Under NO circumstances should you use pre-whacked or frozen lobster…you’ve got to have these bad boys fresh from the tank. This time round, the lobbies had about 15 minutes from tank to grill and the flavour proved it all! Split your lobster from the tip of the head to the tip of the tail but make sure you don’t cut through it. Baste each lobster with melted ghee and then season with Kosher salt and freshly ground pepper. 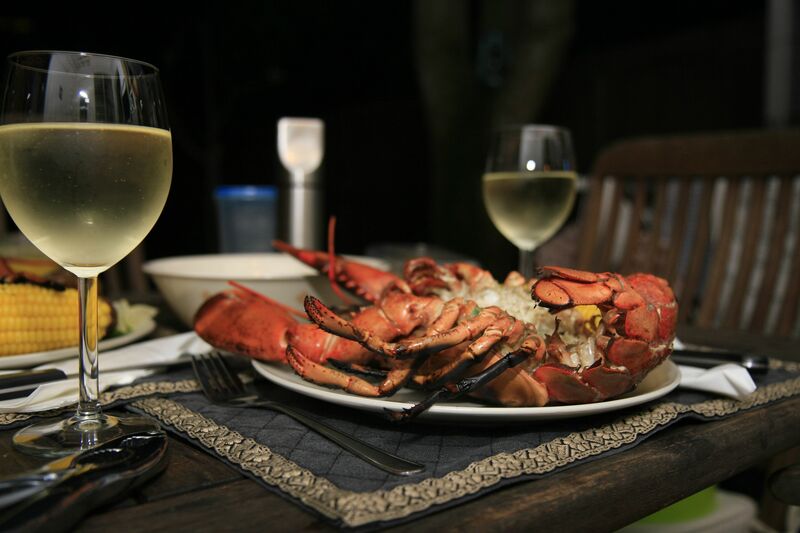 Pour about a quarter cup of heavy cream and plonk the lobsters shell side down on the grill. 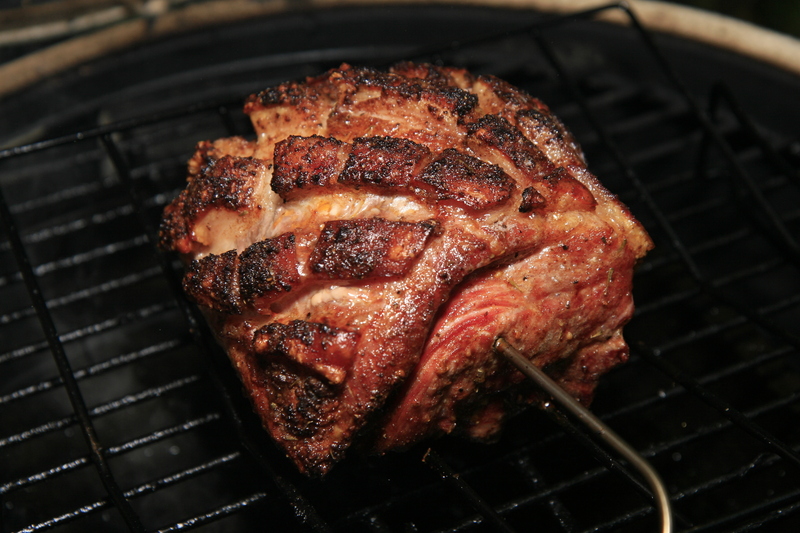 The grill should be set at 500 degrees F as well as set for direct grilling. Grill the lobsters for 8-10 minutes basting the meat with heavy cream every two minutes. Once done, remove the lobster, plate and devour. Heather stayed completely quiet during dinner tonight and that can only mean one thing… A PERFECT 10! Thanks baby, and Happy Valentines Day…albeit a bit late! Three letters come to mind when I try to describe tonight’s meal…. So Heather and I had a “nice” Valentine’s evening spent with a great friend and colleague Everett. The best part of it all was that Ev picked up the tab for an awesome meal at Original Sin, and for that we’re both eternally grateful. 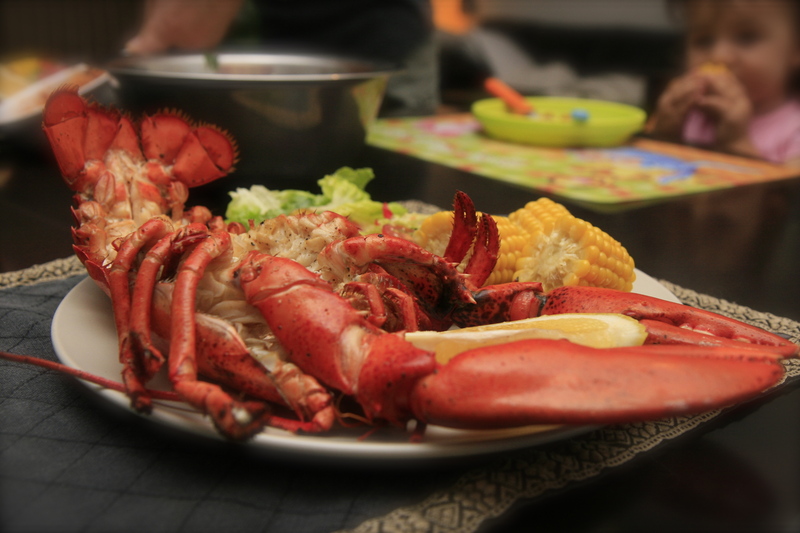 So, using my better judgment I decided that I’d surprise Heather with our own home cooked romantic meal three days after Valentines Day featuring….Egged LOBSTER and all the trimmings! Clearly the romance hasn’t petered out! I ran down to Cold Storage to find the uncle behind the fish counter quite happy to sell me Canadian lobsters from Boston?!?!? I hadn’t the time to go into the geography lesson that I so wanted to get into and so I purchased two 1.5 lbs lobbies along with some sweet corn and a few tatties. Better than the uncle was the auntie at the counter who nearly had a heart attack trying to scan two very squirmy and peeved lobsters. Really wish I had taken a video camera with me. OK, so I get home, prep the goods and now time to kill said lobster. No problem….a sharp chef’s knife to the head and voila….dead said lobster. To season, clarified butter (a faff if I’ve ever gone through one), kosher salt, pepper and some heavy whipping cream. (I can just see my cholesterol level shooting up something fierce tonight!) 10 Minutes on the grill with a heaftey basting of heavy cream every two minutes and my goodness, the goodness that ensued! Check out the photos and once again….THANK YOU BIG GREEN EGG for a meal that was soooooooooo good, we’ll do this for every upcoming Valentine’s Day that comes our way! Bon Apetite all you Roman-tics!